ABU DHABI: Martha Mariam Vanita Samajam of St. George Orthodox Cathedral, Abu Dhabi conducted a cooking competition for its members. Fr. Johnson Daniel inaugurated the event after Holy Qurbana on October 8, 2010. Dolly Varghese won the first prize in the competition, Cristee John and Suja David came on second and third places. 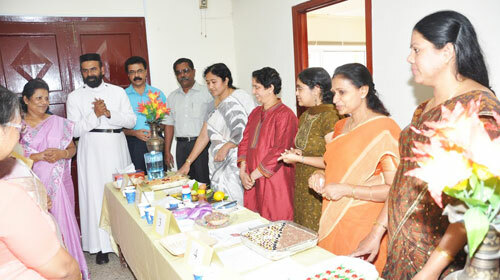 This is the first time that Abu Dhabi Martha Mariam Vanitha Samajam Unit conducted a cooking competition in the church. The parish members encouraged the participants by sharing the food prepared by them and by giving them feedback. Samajam Secretary Annie Mathew and committee members made all arrangements for the competions.